I finally got my hands on some sequins. So I had to make a shaker card. 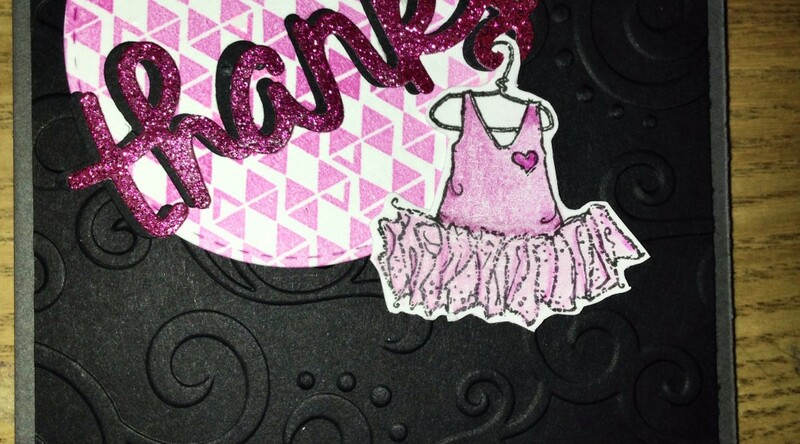 I made a set of 40 Thank You cards for my daughter’s dance teacher as an end of the year gift. 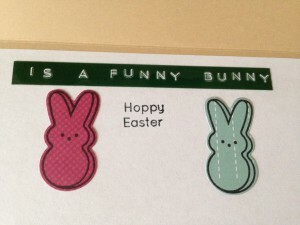 To save my sanity, I made each card exactly the same. 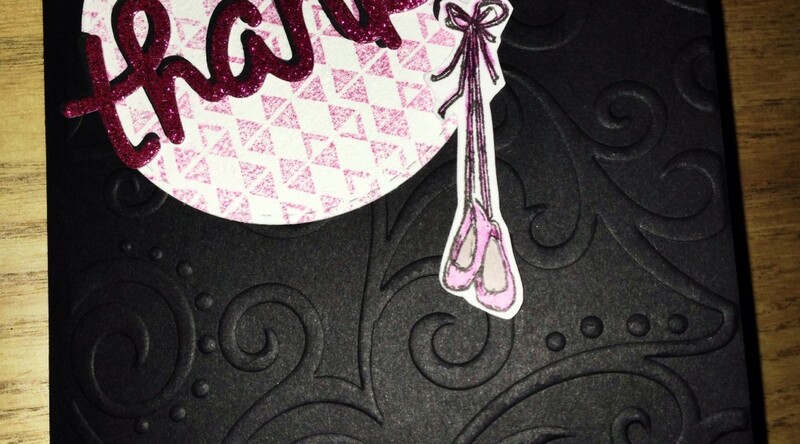 Extra Details: I used DIY foam squares to pop up the bottom of the ballet shoes. 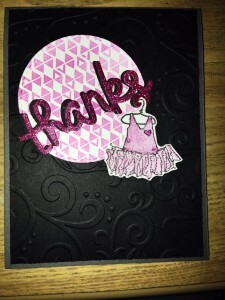 I also layered a black die cut behind the glitter pink one and offset it slightly to add a shadow. 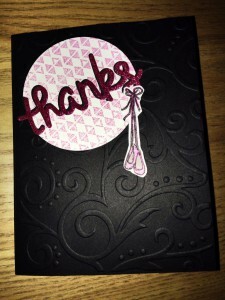 I used a Darice Embossing folder with a scroll pattern for the card base. 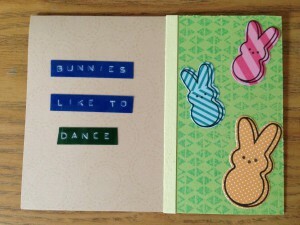 This is the card I made for my daughter’s dance teacher. It accompanied the 40 thank you cards and had our message to her in it. 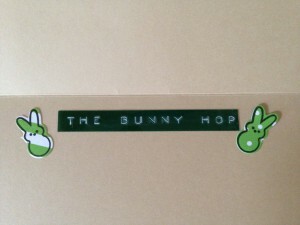 I ordered my first ever card kit, the Simon Says Stamp March 2016 card kit. 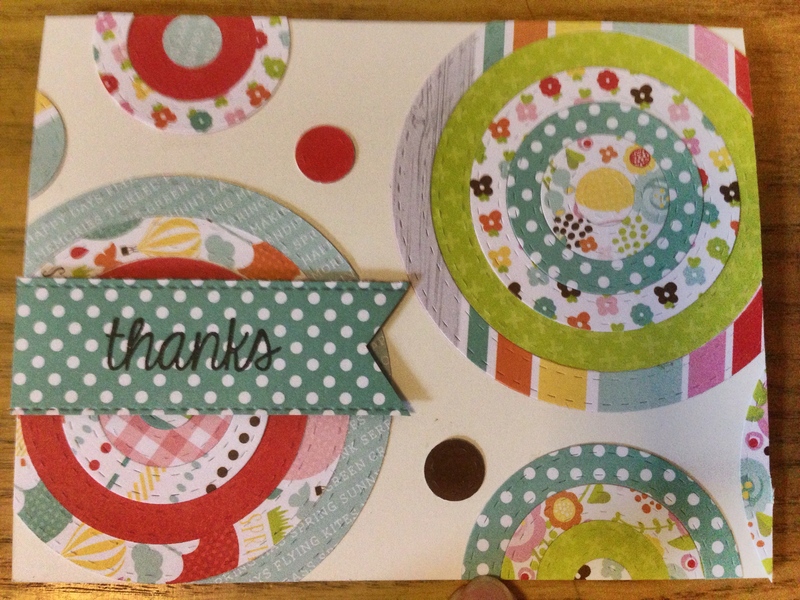 For this card, I used the pattern paper that came in the kit. It is by Echo park. 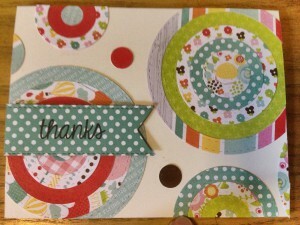 I had also just gotten the Simon Says Stamp Stitched Circles dies. 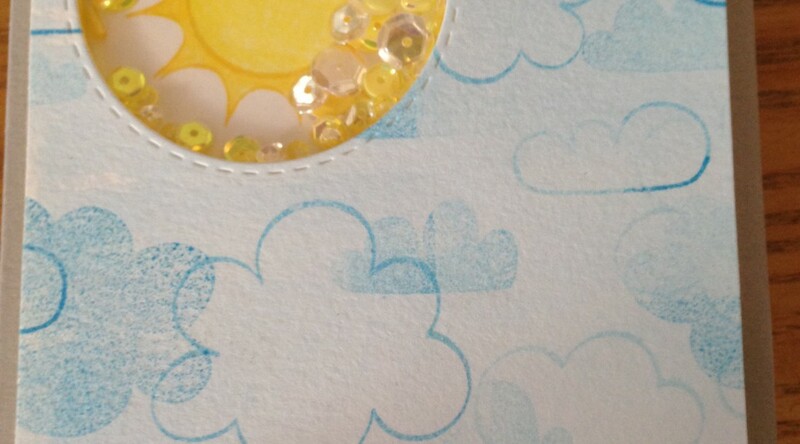 Before cutting all the dies apart, I die cut the pattern paper to make all these fun rings. 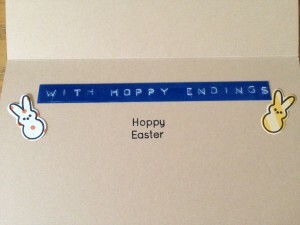 Extra Details: I arranged the rings and adhered them flat to my card front. 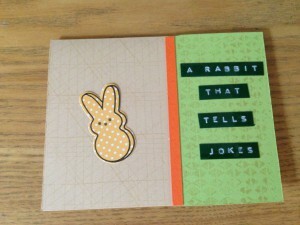 I trimmed anything that needed to be trimmed and this card was done. 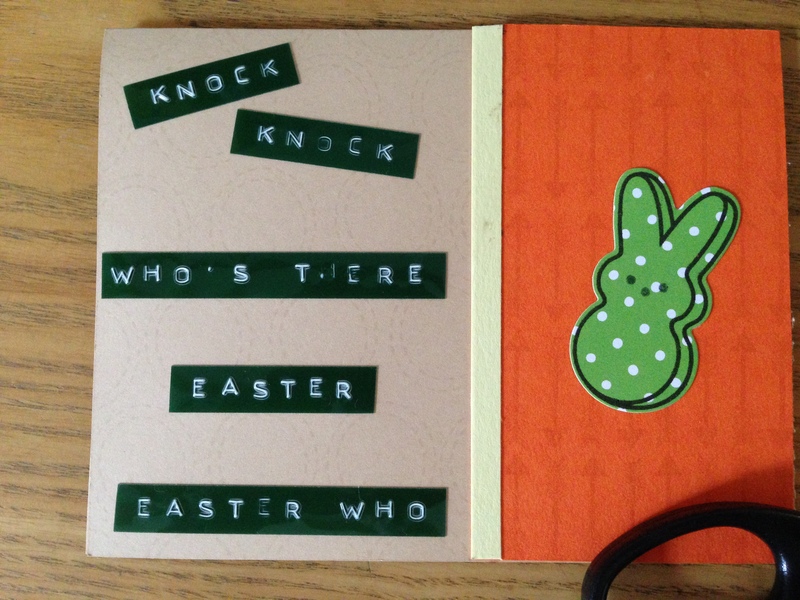 Extra Details: I used a black marker to outline the Speech Bubble Border edge. 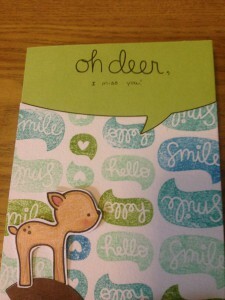 The deer is colored in colored pencils and fussy cut out. I popped him up on some DIY foam squares. 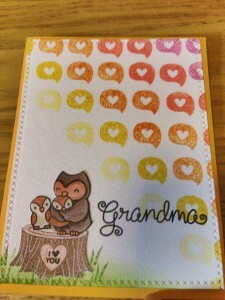 I got the new Mom + Me stamp set and could not resist making a card to my mom from my kiddos. 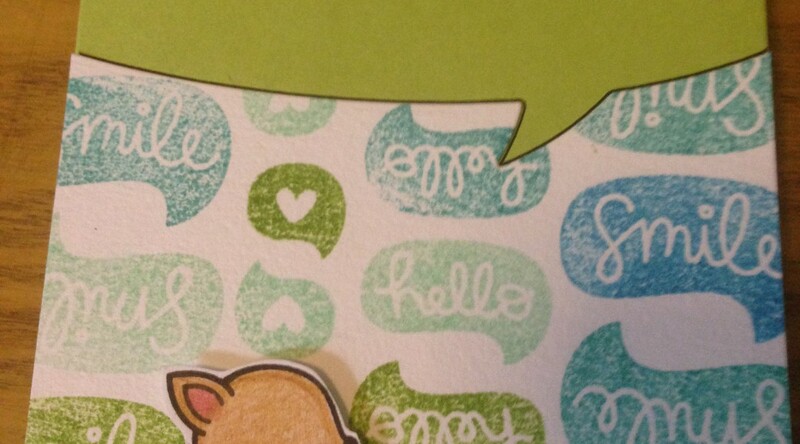 Extra Details: I double stamped the speech bubbles with Distress Inks. 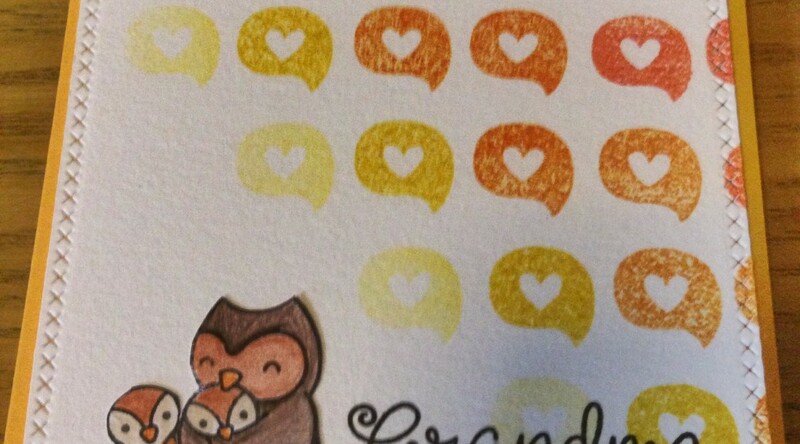 For example, I stamped two bubbles in Squeezed Lemonade right next to each other. 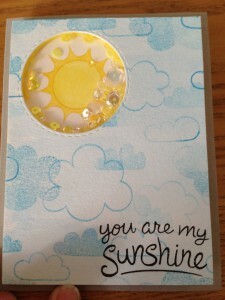 Then, I stamped Mustard Seed Distress Ink on top of one of the Squeezed Lemonade bubble to make a new color. I found this helped the colors blend very nicely. I colored all the images with colored pencils and fussy cut them out. 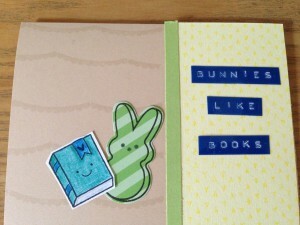 I adhered them flat to the stamped panel. 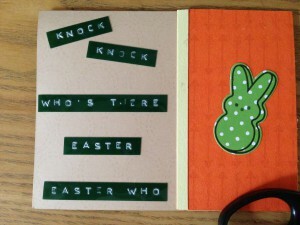 I used the Stitched Borders to add a detail to all edges of my stamped rectangle. I also ink blended some Mowed Lawn Distress Ink on the bottom corner to fill in the grass area. 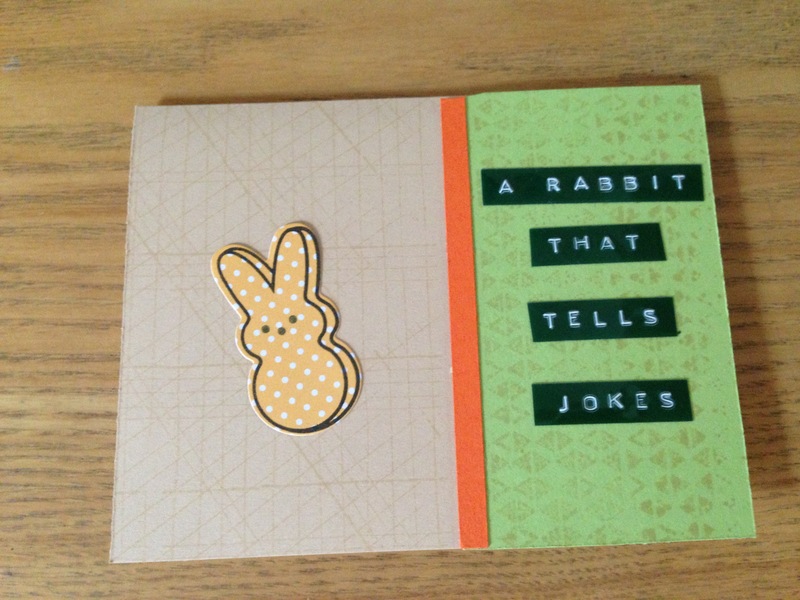 My kiddos have discovered joke cards. 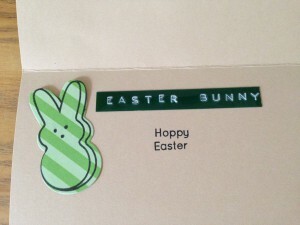 This is one that we created and sent out for Easter. Extra Details: I used my Dynamo Label Maker for most of the words in this card. The only downfall of the label maker is that it does not have many punctuation marks.